Coffee history stretches back thousands of years to the time in about 600 BC when an Arabian herdsman in upper Egypt, or Abyssinia, called Kaldi discovered his goats acting weird when they ate the red cherries from a coffee tree. 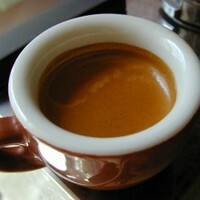 Extracting 'the god shot' - perfect espresso coffee. 500’s - Coffee legend claims its discovery by goat herder Kaldi.